← The Business of College Football. Who’s Making the Most Money? What do business brokers do? Very few people know, as the profession usually operates under the radar. Business brokers are intermediaries who facilitate the sale of small to medium size privately held businesses by working with both buyers and sellers. There are important differences, but in some respects business brokers operate similarly to real estate agents; however their practice is limited to business entities. Currently there are 17 states requiring business brokers to be licensed by their state’s real estate commission. All states require a real estate license if the business broker is handling real estate along with the sale of the business entity. However, the majority of small to medium size businesses are in leased locations with no real property as part of the sale. Business brokers can represent either the buyer or seller in a sale. Historically, the broker has traditionally represented the seller, but buyer representation is becoming more common. The representation of one party in a transaction usually creates a fiduciary duty between the broker and the party represented. Some states allow dual agency representation of both buyer and seller if all parties agree to the arrangement. In some states, brokers can choose to act as transaction brokers, representing neither party as an agent but working to facilitate the transaction. In this situation, there is no fiduciary duty created and the broker deals with both parties on the same level. A business background from experience and/or education is essential to a successful business brokerage practice. Training specific to business brokerage can be obtained from several professional associations or other organizations. The American Business Brokers Association, as one example, conducts a 2-day training seminar several times each year. A quick Google of “business broker training” will return many options. Both national associations of business brokers in the U.S. offer credentials to brokers who have completed a level of education and experience in the profession. The American Business Broker Association awards the Accredited Business Intermediary (ABI) credential. The International Business Brokers Association offers the Certified Business Intermediary (CBI) designation. In addition, several state associations, such as Texas and California, offer their own credentials to qualified members. Pricing the business with a professional valuation. Drafting an offering summary, sometimes called a confidential business review. This piece becomes one of the most important marketing tools for the offering, and is provided to prospects only after they have signed a confidentiality agreement and been qualified by the broker. Marketing the business to the widest possible audience while maintaining strict confidentiality. This is one of the important distinguishing differences between business brokers and real estate agents. Real estate agents put a sign in front of their properties and typically without the need for confidentiality, advertise widely the specific location. Business brokers are trained to maintain strict confidentiality. 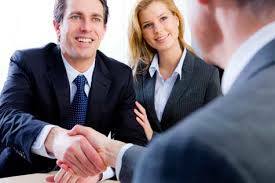 Introducing prospective buyers to the business after insuring confidentiality agreements have been executed. Facilitating meetings between the seller and potential buyers. Writing offers to purchase the business. Handling negotiations between the parties after an offer has been made. Facilitating the due diligence investigation. Offers to purchase are almost always made contingent upon a further due diligence investigation. Assisting the buyer in obtaining business acquisition financing. Scheduling and facilitating the closing of the transaction. Business brokers have traditionally been compensated by the seller with a commission only fee arrangement which is detailed in a listing agreement and paid at closing. However, in recent years some brokers have moved to a partial up front fee which may be credited to commission at closing. This helps the broker defray the initial expenses involved in marketing the business, and according to some brokers, also serves to identify serious sellers as opposed to those who just want “to test the waters,” which many brokers regard as a waste of their time. The customary commission rate ranges from 8 to 12 percent, with 10 percent being the most prevalent. In a recent survey of the profession, 59 percent of brokers reported using a 10 percent commission rate. Generally, the smaller the business, the higher the percentage rate of commission. Confidentiality. Confidentiality is critical to the successful transfer of a business. If it becomes known that a business is for sale, several things start happening and none of them are beneficial for either the seller or buyer of the business. Business brokers are keenly aware of this and are experts at maintaining confidentiality. Valuation. The issue of valuation is of critical concern to both buyers and sellers of businesses. Business brokers are professionals in determining the most probable selling price of a business. Financing. Business acquisition loans were difficult to obtain in the recession of a few years ago. Currently, however, banks and the SBA are again loaning money for business acquisitions. Business brokers stay informed as to the type and source of loans that are available from various lenders and assist buyers in arranging financing. Most transfers of privately held businesses handled by business brokers are asset sales rather than corporate stock sales. The selling entity (whether sole proprietorship, partnership, corporation or LLC) sells selected assets to the acquiring entity. The selected assets are usually all assets of the business, including trade name, with the exception of cash in the bank and the accounts receivable which are usually retained by the seller. Because there is no national registration or licensing of business brokers, there is not an accurate count of the total number of brokers. Estimates run from a low of 2,500 brokers to a high of 5,000 individuals in the U.S. in the profession. The LinkedIn discussion group of the American Business Brokers Association, which is the largest LinkedIn Group of business brokers, has a membership of over 6,000 brokers and affiliated professionals. This entry was posted in Business Valuation & Appraisal, Buying or Selling a Business and tagged ABBA, Accredited Business Intermediary, American Business Brokers Association, business broker, business broker school, business broker training, Business intermediary, Business sales and acquisitions, Business transfer agents, Certified Business Intermediary, how to become a business broker, How to Sell a Business, IBBA, International Business Brokers Association, sell my business, William Bruce Business Sales & Acquisitions. Bookmark the permalink. 11 Responses to What are Business Brokers and What Do They Do? William, appreciate the great articles you write and share with others! I respect your professionalism. Thanks Mary. Your approval means a lot to me. Its important to note that there are big differences in selling businesses vs selling buildings. Tammy, thanks for stopping by. You are absolutely right that there are huge differences in selling a business versus real estate properties. The need for confidentiality is only one important difference. WHEN DOES THE FIDUCIARY RESPONSIBILITY BETWEEN THE BUSINESS BROKER AND THE BUYER END? I HAVE A BROKER THAT FACILITATED A BUSINESS ASSET PURCHASE (NEVER PROVIDED A DUAL REPRESENTATION SIGN OFF). THE ORIGINAL SELLER BOUGHT BACK APPROX 75% OF THE ASSETS ORIGINALLY SOLD DUE TO REPRESENTING SOMETHING IT WASN’T (WHICH THE BUSINESS BROKER FACILITATED IN THE FORM OF A SECURITY AGREEMENT AND PNOTE). THE ORIGINAL SELLERS HAVE SINCE STOPPED PAYING ON THE NOTE AND THE BUSINESS BROKER HAS RE LISTED THE ASSETS THAT I HAVE A SECURITY AGREEMENT AGAINST. MY QUESTION IS #1. SHOULDN’T I HAVE SIGNED OFF ON A DUAL AGENCY FORM AND #2: WHAT LEGAL RECOURSE DO I HAVE IF ANY? #3: ANY RECOURSE AGAINST E & O POLICY (IF THERE IS ONE)? 1. Yes, most states require that both parties agree to a dual agency arrangement. 2. It sounds to me like you may have lots or recourse. Consult a lawyer, promptly. 3. I believe you would have a claim against an errors and omissions insurance policy. This sounds like a real mess. I’ve been an expert witness in several disputes in this space. Let me know if I can help. Good morning. I just tried to email you information on the business broker training seminar, but I don’t think I’ve got the correct address. Please email me at Will@WilliamBruce.org.